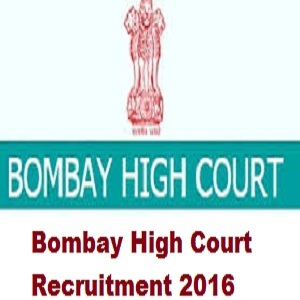 High Court of Bombay at Goa, Panaji has Invites Application for the recruitment of 56 Personal Assistant, Shorthand Writer (Lower Grade), Assistant Librarian, Clerk, Peon & Sweeper vacancies on direct recruitment basis. The maximum age limit shall not be applicable to High Court/Govt. employees. The maximum age limit is relaxable upto 45 years for SC/ST and 43 years for O.B.C. Further the maximum age limit shall be relaxable to differently able persons by 10 years for General category (40+10), 15 years for SC/ST (40+5+10) and 13 years for O.B.C (40+3+10). Possess University Degree, possessing Degree in Law or I.T.I Or Credible Institute for Speed of 120 words per minute in English Shorthand and 50 words per minute in English Typing. Shorthand Writer (Lower Grade): Possess University Degree, preference being given to candidates possessing Degree in Law. This condition of University Degree may be relaxed for those who have not less than 3 years experience. Assistant Librarian: Should have a University Degree and certificate in Library and Information Science from any institution recognised by Government or University Degree and 3 years experience of working as Library Clerk or in equivalent or higher post in any Government, University, College, School, or Public Library. Clerk: Possess University Degree, preference being given to the holders of Degree in Law; or Must have passed Govt. Commercial Certificate Examination or Exam conducted by Government Board or I.T.I. or Credible Institute for English Typing with Speed of 40 words per minute. Sweeper: Should have passed at least IV Standard examination of Primary School recognised by Government and who have adequate experience with Knowledge of Konkani language. Candidates have to pay Rs.600/- for the post of Personal Assistant, Rs.500/- for the post of Shorthand Writer (Lower Grade)/ Assistant Librarian/ Clerk and Rs.200/- for the post of Peon/ Sweeper through Indian Postal Order (IPO) drawn in the name of Registrar (Administration), High Court of Bombay at Goa, Panaji-Goa.